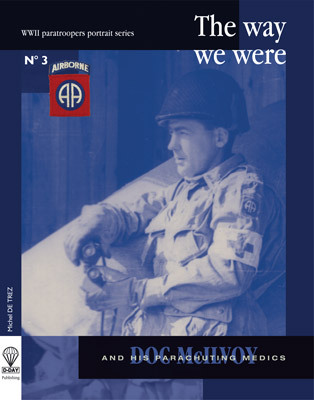 “Colonel Bob Piper” is the second volume in noted historian Michel DeTrez’s WWII paratrooper portrait series titled ‘The Way We Were’. 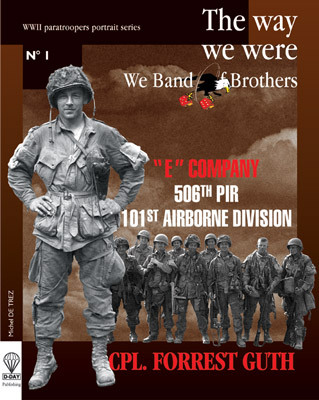 Colonel Piper is a paratroop officer who served as a platoon leader, regimental adjutant (S-1) and regimental intelligence officer (S-2) in G company, 505th PIR, 82nd Airborne Division during the Second World War. 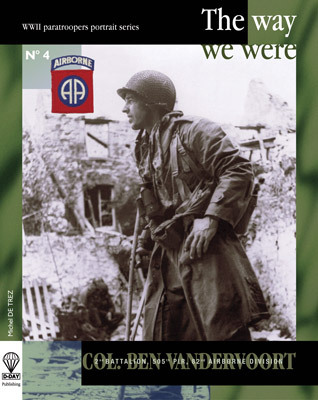 He made all four combat jumps of the 505 and fought in all six of the 82nd’s campaigns, being wounded only one time. As a member of the regimental staff, one of the many tasks assigned to Piper was ensuring the security and wellbeing of the only female ‘member’ of the 505. Surprisingly, there were women with some of the paratroop units in the combat zones of the ETO. And, yes, they did wear jump boots, jump wings, the All-American shoulder patch and the ubiquitous steel pot! They were very few, indeed, but they were there. Colonel Piper took this task so much to heart, that when the war ended, he couldn’t bear the thought of having to stop, so he took an oath to care for her for the rest of his life. Like Forrest Guth, the hero of the first volume in this portrait series, Bob Piper chose to disregard the order against taking a camera into combat, and throughout all six of his campaigns, he never left his Leica behind. After all, wasn’t he one of the people who were giving the orders? 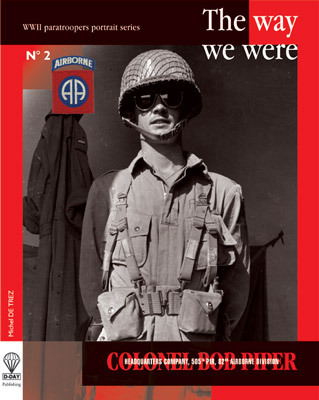 Col. Piper took some unique photos of the regimental staff in the field, including its General Officers. Until today, most of these photographs have never been seen. This book is also available in a deluxe hard-covered, numbered, limited edition at 75 €, which is signed by both Col. Piper and the author. Only 82 copies have been printed in this format and less than a dozen are still available. Contact the author if interested.